Porsche’s 2020 model year 911 looks very much like the dawn of a new decade. And not only do we have a new 911, but Porsche is looking ahead to—*gasp*—a hybrid model in the first half it. Changes to the car’s chassis are already making way for the drivetrain additions. For now, though, the 911 is just a good old petrol burner, and a looker to boot. In one car, the German performance car company has managed to beautifully reconcile its design history and the next phase in their evolution. The 911 is the Porsche figurehead, and this new Porsche looks tough, confident, and as relevant as the 911 was when it first hit the road back in 1963. Sustaining the classic narrative elements that sustain and nourish Porsche identity while offering enough iconoclasm to float it as an up-to-date design statement is no mean feat when seven generations have already come and gone, but the 2020 911 looks remarkably fresh; it still hasn’t lost a whisker of the unique approach to grace that defines the model’s shape. A paddle shift auto will have to suffice until later in the year, when Porsche will roll out a manual. Power updates take a backseat to tech updates, and that’s expected. The S and 4S are in the wings at present, with a 3L six-cylinder in the former producing 443 horsepower and hitting sixty in less than 3.5 seconds. 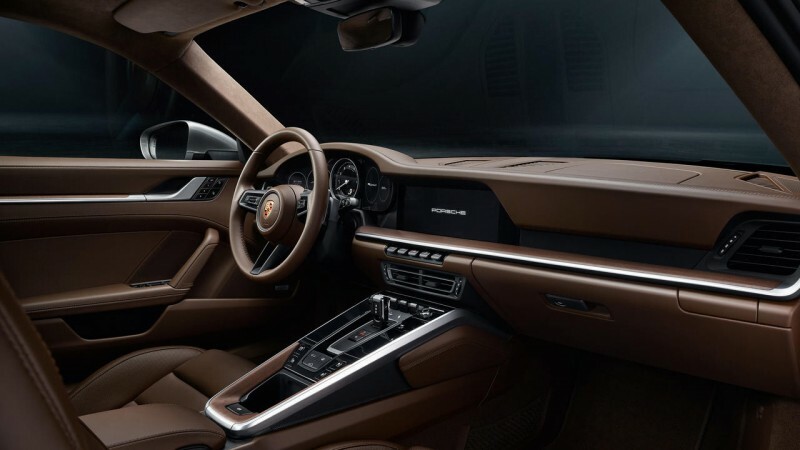 Tech updates include an instrument layout featuring two digital screens with a center tachometer, wheel sensors that advise drivers of wet road conditions, a series of apps with ‘Porsche Road Trip’ enhancing leisurely tours, and a 10.9-inch touchscreen.